Battery-powered, ultra high-speed stand-on polishing machine with a working width of 50 cm and 2,750 m²/h of area coverage. 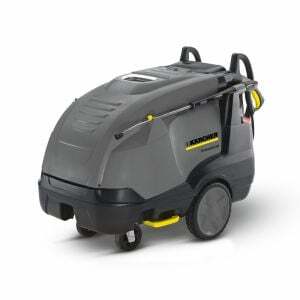 Ideal for contract cleaning, public buildings, exhibition areas and hotels. The BDP 50/2000 RS BP step-on polishing machine combines important features of several machines. It has the manoeuvrability of a walk-behind machine and an impressive turning circle of just 1.30 metres. It operates at the speed of a ride-on machine and offers a clear view due to the raised working position. 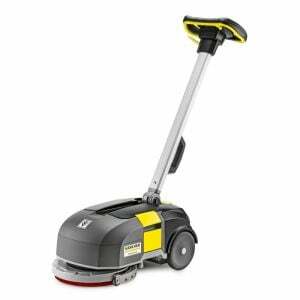 The 50 cm large pad drive board rotates at 2000 rpm and provides brilliant polishing results. Polishing dust is effectively removed by passive and active suction to prevent dust turbulence. The integrated filter system under the hood at the front of the machine also enables easy filter bag changing and the EASY-Operation system makes the machine simple to use. 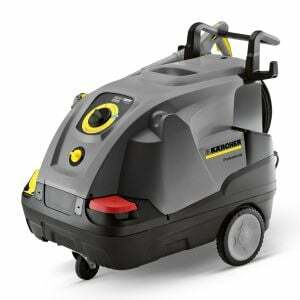 We recommend the BDP 50/2000 RS BP Pack polishing machine for use in public buildings, exhibition areas and hotels. • Automatic contact pressure: Constant contact pressure, even with worn pads or on uneven surfaces. • Polishes quickly and efficiently: The contact pressure combined with a very high speed ensures an efficient polishing result. The machine allows area performances of 2750 m² per hour. • Quick to mount and dismount: For greater versatility and faster results. • Very agile with a small turning circle: For good manoeuvrability and high area coverage. • Step-on model: Raised working position for a clear view. • Pad replacement without tools: Time-saving and easy brush replacement. • Optional, powerful 198 Ah batteries available: Together with an external charger, the batteries enable very long working intervals.